Palisades Village proudly offers an array of five-star services to ensure every visit is a wonderful one. If you would like help with accommodations for large groups, planning special events or enhancing your visit in any way, please visit Caruso Concierge in The Lobby or call us at 310.525.1380. Our porters are happy to help take the weight off through hands-free shopping. Visit The Concierge Desk in The Lobby or call 310.525.1380 so we can retrieve your groceries or shopping bags, and either place them in your vehicle or securely store them. Our Concierge has access to many of the most popular concert and event venues in Southern California, and will do its best to help you reserve tickets to upcoming shows. For arrangements, visit The Concierge Desk in The Lobby or call 310.525.1380. Caruso Concierge is available to arrange various shipping and courier services. Please visit The Concierge Desk in The Lobby for assistance. From apparel, shoes and handbags, to home goods and beauty products, our team will work with our wide network of retailers to expertly curate styling options for film, television and print. We also will arrange convenient on-property pickup of the merchandise. From birthdays and anniversaries, to marriage proposals and parkside picnics, our team will help you sort out all the details to create an unforgettable event. Caruso Concierge provides complimentary stroller, wheelchair, umbrella, cell phone charger rentals. To arrange, please visit The Concierge Desk in The Lobby with a photo ID and a credit card. Guests will not be charged as long as items are returned at the end of their visit. Notary services are available, by appointment, through Concierge. Please visit The Concierge Desk in The Lobby or call 310.525.1380 to make an appointment. The Swarthmore Room is available for rent by local businesses and organizations for meetings and events. Located above The Lobby, The Swarthmore Room is available from 8AM – 9:30PM, and is available on a first-come, first-served basis. For rates, food and beverage arrangements, and other information, please call 310.648.3200. The first kōban was set up in Japan in the 1840s to provide the police a more intimate setting for public interaction. The result of a strong partnership between Caruso and the LAPD, the kōban has now arrived in the Palisades, providing the neighborhood with its first fixed location. The kōban is a welcoming, safe place where families can file reports, alert LAPD to an emergency, or simply engage with the friendly officers. We are a pet-friendly destination and welcome all of your canine friends to enjoy a day of shopping at Palisades Village. However, in order to keep The Park as fresh and inviting as possible, dogs are currently not permitted on the grass. Visit Concierge to pick up a treat for your pup. Gift Cards are available in any amount from $25 to $1,000. They can be purchased at The Concierge Desk in The Lobby. 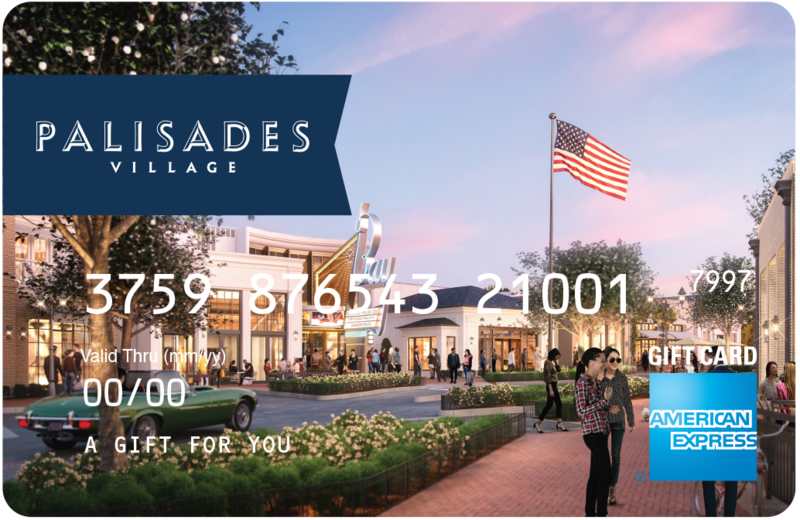 The Palisades Village American Express(R) Gift Card is redeemable nationwide, virtually everywhere American Express(R) Cards are accepted. Our Gift Cards make a perfect gift for corporate incentive programs and special holidays. Palisades Village guests receive complimentary self or valet parking when they spend $250+ in a single visit. Please visit the Concierge Desk in The Lobby to show your receipts and receive your complimentary same-day parking. Car wash services are available through valet parking during the hours below. 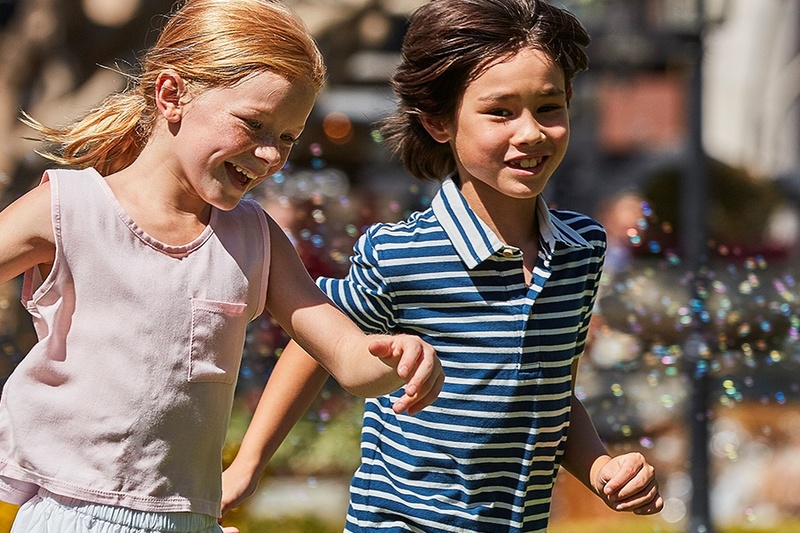 We also invite you to enjoy our convenient refueling and EV-charging services during your wash.
Join Us for Kids Club, Tuesdays, 10AM – 12PM (Now – End of October), in The Park. Kids, parents, and caregivers are invited to experience a weekly dose of fun, including live music, storytelling, puppet shows, and so much more! Complimentary and open to the community. We invite parents, caregivers, and children to visit our Mother’s Room and Family Restroom, located in The Lobby.